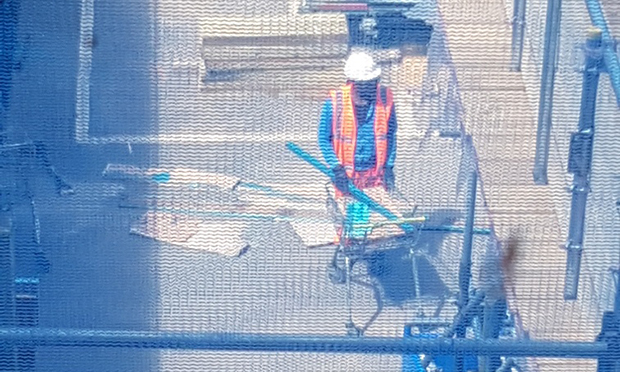 Building firm Wates has been forced to lay down the law to staff carrying out contentious re-cladding work in Hackney after pictures emerged of supermarket trolleys being used to transport materials. 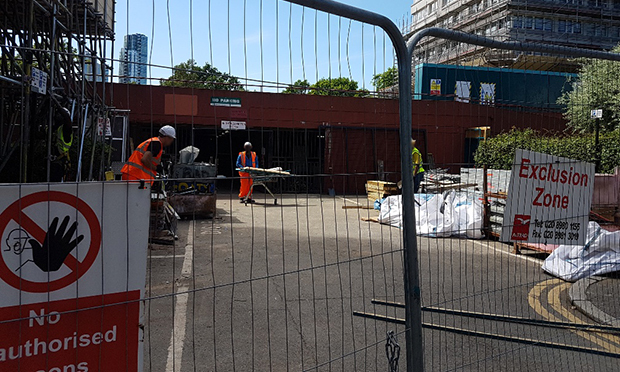 Wates, hired by Hackney Council to replace the cladding on three tower blocks at Lincoln Court, told the Citizen that its workers’ use of the trolleys is “completely unacceptable” and does not uphold the company’s health and safety standards. The project has been plagued by controversy from the outset, with complaints from residents about a lack of fire safety prompting a visit from government watchdog the Health and Safety Executive (HSE). HSE later asked Wates to produce a revised fire plan for the site before removing any of the existing cladding, which was found not to meet modern standards as part of the council’s post-Grenfell review. Wates said HSE’s demand was simply “an improvement upon already compliant and stringent health and safety measures”. But photos have now emerged showing the firm’s workers using supermarket trolleys on site. After being sent the photos, HSE said it was “looking into” the matter. Lincoln Court resident Garry Saunders, a retired health and safety manager for Hackney Council who took the photos, said in a tongue-in-cheek response: “In the June edition of the Hackney Citizen, Wates said ‘safety is our number one priority’ and boasted about its ‘industry-recognised reputation as a peer-leading contractor for health and safety excellence’. “Well, seeing this, I felt it really important to share their latest construction equipment innovation – it’s brilliant on so many levels. “As you can see in the pictures, these patented material transporting devices (MTDs) have many wonderful advantages. “Firstly they are freely available at many outlets, and at the Lincoln Court site where they are being piloted, there are at least three. On a more serious note, Saunders added: “There are very specific regulations for work equipment and I would imagine Wates are in breach of most of these. A representative of Wates Living Space said: “We can confirm that the operatives in the photos were employed by Wates. “The supermarket trolleys had been discarded in areas around the site and, while the trolleys themselves were being removed, were incorrectly used by operatives to transport other materials that were also being cleared. “There are a range of trolleys from a mixture of supermarkets in the numerous areas that surround the site. “As part of our ongoing clearance of the site before work commences, we will be returning the trolleys where we are able to identify the corresponding supermarket.